Cupid's Arrow Gold Place Card Holder is sold in sets of 6 with included place cards. It's the perfect way to leading your guest to their seats for wedding receptions of all sizes! 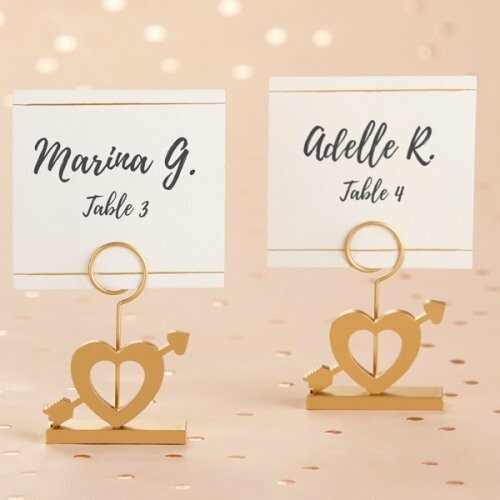 The cupid's arrow place card holder is gold resin, with a wire spiral center for displaying place cards and matching place cards with gold and white.